Features Olympus’s new baby is based around a 20-million-pixel Four Thirds sensor that includes on-chip phase detection for fast autofocus. The firm says it’s not directly related to the 20MP sensor that’s used in the Pen-F, offering much faster readout speeds, lower power consumption, lower noise and higher dynamic range. It’s coupled with a TruePic VIII processor that has dual quad cores, one of which is dedicated purely to autofocus. Sensitivity settings run from ISO 200-25,600 as standard, with a pulled ISO 64 also available that gives lower noise at the risk of clipped highlight detail. The auto ISO program has been improved, allowing exposure compensation to be applied when shooting in manual-exposure mode, and a user-specified minimum shutter speed to be used in P and A modes. Unfortunately, though, it’s not possible to tie the minimum shutter speed to the focal length of the lens in use. The twin SD card slots count as a welcome upgrade, with the upper one being compatible with the faster UHS-II standard. They can be used in pretty much any way you like: you can record files to both cards simultaneously as a backup, switch to the second when the first is full, or record any combination of raw and different-sized JPEGs to either card. So you could record raw files and small JPEGs on one, and large JPEGs on the other, for example. Undoubtedly, the E-M1 II’s single most eye-catching specification, however, is its continuous shooting speed of 60 frames per second at full resolution, with a buffer of 50-odd frames in either raw or JPEG before it starts to slow down. Using a UHS-II card doesn’t get you any more frames, but it does mean a burst will be written to the card much quicker: around 36 seconds vs 95 seconds for a full burst of raw + JPEG files. At full speed, focus is fixed, but if you want the 121-point AF system to continue tracking the subject between frames, the E-M1 II is still capable of shooting at up to 18 frames per second. In addition, a new Pro Capture mode can buffer up to 14 frames while the shutter button is held half pressed, and then record them when it’s fully pressed. The idea here is that you can capture action that happened fractionally before could react to what you’ve seen in the viewfinder. These capabilities are all achieved using an electronic shutter, but this will bring a risk of image distortion due to rolling shutter effects. 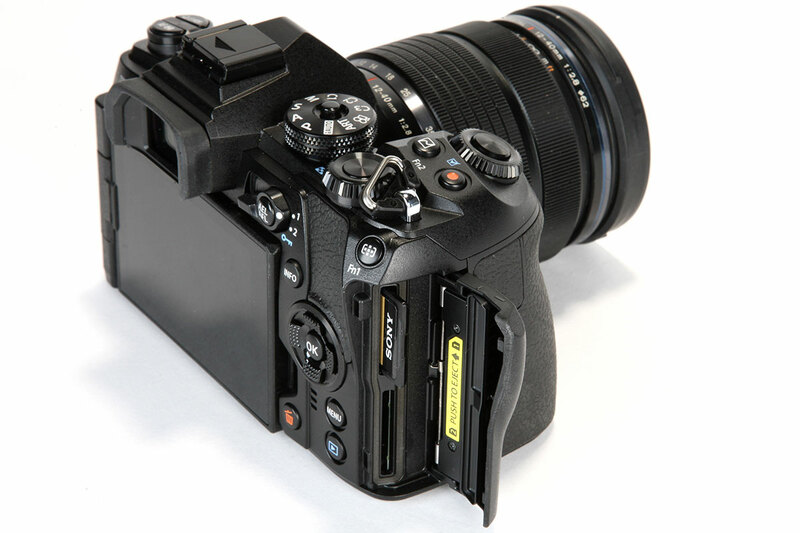 However, using its mechanical shutter, the E-M1 II will still shoot at 15fps with focus fixed, or 10fps with focus tracking, which is faster than most other cameras. The mechanical shutter operates with a wonderfully quiet snick that is barely audible to anyone except the photographer. Its speed range covers 60 seconds to 1/8000sec, and the top speed extends to 1/32,000sec in electronic mode. Olympus says the new BLH-1 battery (7.4V 1720mAh) lasts nearly 40% longer than the E-M1’s, providing 440 shots per charge according to CIPA tests. However, you will likely get a lot more shots out of it when shooting bursts. One very welcome update is an onscreen display of the percentage charge remaining. 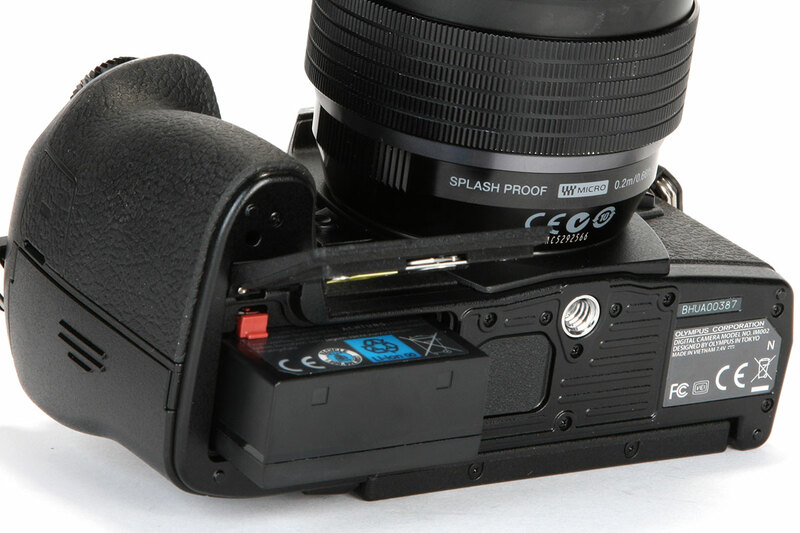 An empty battery should charge in a couple of hours using the supplied charger – twice as fast as the E-M1’s – however, it can’t be topped up in-camera using USB. 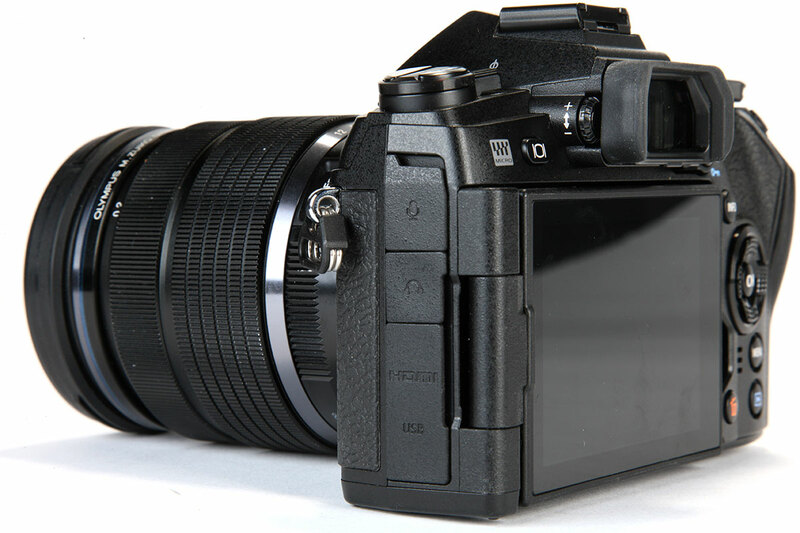 On the E-M1 II’s side are HDMI, USB, microphone and headphone sockets. Plugging in a microphone prevents the screen from rotating freely, but it can still be placed in a perfectly sensible position for video shooting. However, if you want to use headphones to monitor audio, then this severely limits how you can position the screen. It would perhaps make more sense if these ports pointed out the front of the camera. The adoption of high-speed USB-C means that the proprietary USB connector Olympus has used on practically all of its previous cameras has disappeared. 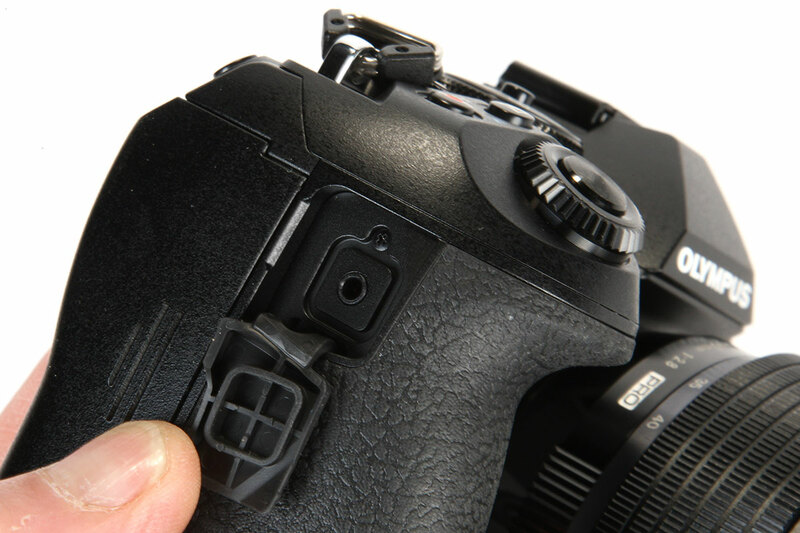 This was also used for the electronic cable release, and the E-M1 II is therefore equipped with a 2.5mm socket instead. I’ve found this to be fully compatible with Pentax and Canon E3-type remotes or third-party alternatives, so there’s no shortage of options available. 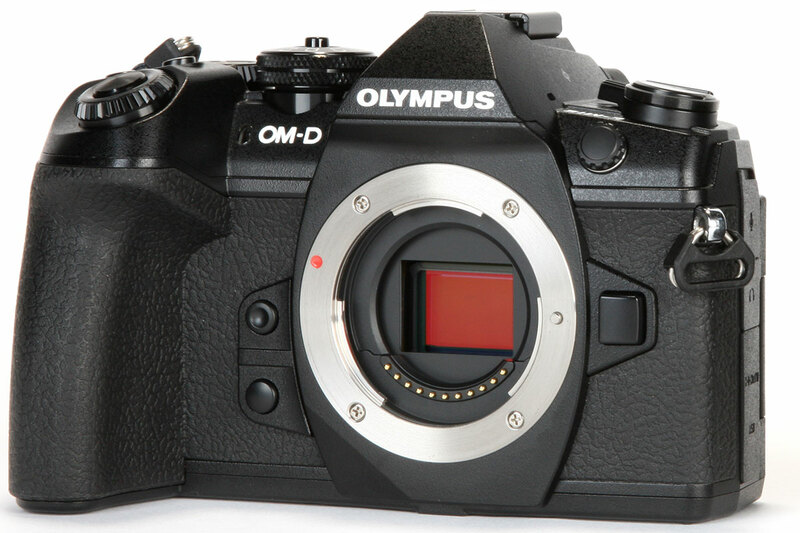 A spin through the menus shows that Olympus has crammed in almost every imaginable feature. Extensive bracketing options, high-dynamic-range shooting, multiple exposures, keystone compensation (now in both horizontal and vertical dimensions at the same time), high-resolution-composite mode, remote off-camera flash using the included FL-LM3 as controller, and Olympus’s unique long-exposure Live Bulb, Live Time and Live Composite modes are all on board. Not to mention in-camera raw conversion and built-in Wi-Fi for connecting to a smartphone.